On 22 December 2017, the President signed tax reform legislation known as the Tax Cuts and Jobs Act (TCJA). While the full implications of the Tax Cuts and Jobs Act are still unraveling, a number of tax-planning opportunities have presented themselves. The Tax Cuts and Jobs Act of 2017 has also made significant changes to the deductibility of business meals and entertainment starting in 2018. Generally, entertainment expenses are nondeductible and most meals are 50 percent deductible. Previously entertainment expenses were 50 percent deductible and a most meals were 100 percent deductible. We anticipate this area of tax reform will be heavily scrutinized by the IRS. It is important that your accounting records accurately categorize these activities. 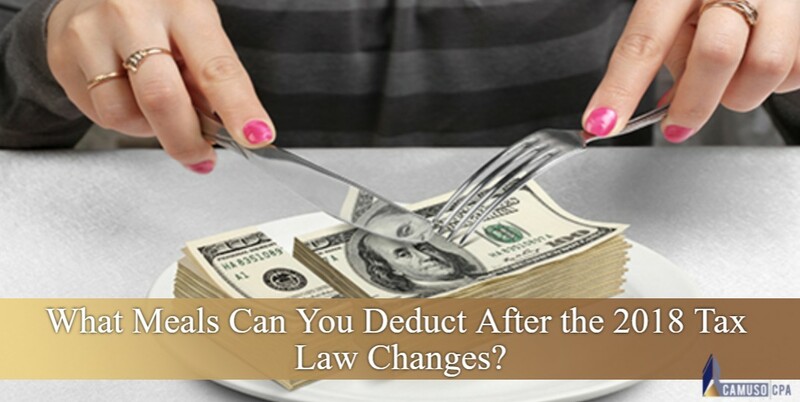 In order for meals to be considered 50 percent deductible business must be discussed during the meal. If no business is discussed the meal is not deductible for tax purposes and thus should be entered as entertainment. Meals with employees/coworkers where business is discussed along with meals while travelling are considered 50 percent deductible as well. Company activities, such as holiday parties, birthday and anniversary celebrations, picnics, etc. are fully deductible.